In Chapter Nineteen, an important element of the hero's journey is established, that being the mentors. In just about every retelling of the ancient story, some sort of mentor or mentors show up in the writing. In the Chronicles, I chose three mentors, Asgard, Baldur and Magni. These names, as I have posted earlier, were referenced from Norse mythology. Asgard and Magni are married and Baldur is Asgard's brother. They are all from the Kingdom of Moriand, of which Charlie is a descendent as well. Latter on in Book One, the reader gets more history on Moriand and the struggles that they endured at the hands of Skoll. Just about all the Morianders have purple hair. In the Chronicles, hair color can not be changed. I therefore attempt to treat "race" in the adventures in terms of hair color. I wanted to come up with some way to talk about race and skin color without offending anyone, first and foremost, and in a manner that had not previously been discussed. It was a bit of a challenge and I am not sure I succeeded but I guess time will tell. So in the first part of the book, the Morianders are in a holding pattern, so to speak. They are waiting for word, if it ever is to come, that Charlie has begun his journey to find and protect the eight Laws of Understanding. The moment arrives when Magni, who was able to speak with birds, talks with Gullin, a raven that brings the three news of Charlie's leaving the Otherworld. The mentors then ride to the Kingdom of the Mountain Forest where a secret meeting is being held with all twelve of the Old Friends, the spiritual protectors of the eight Laws. They are in time to meet with them and request a Messenger of the Light to go immediately to help watch over Charlie. The Old Friends say that a Messenger can not be sent for fear that the Shadowling might follow and seek harm with Charlie. The Messengers were given to the Old Friends by the seven creators of the world to help communicate with each other. 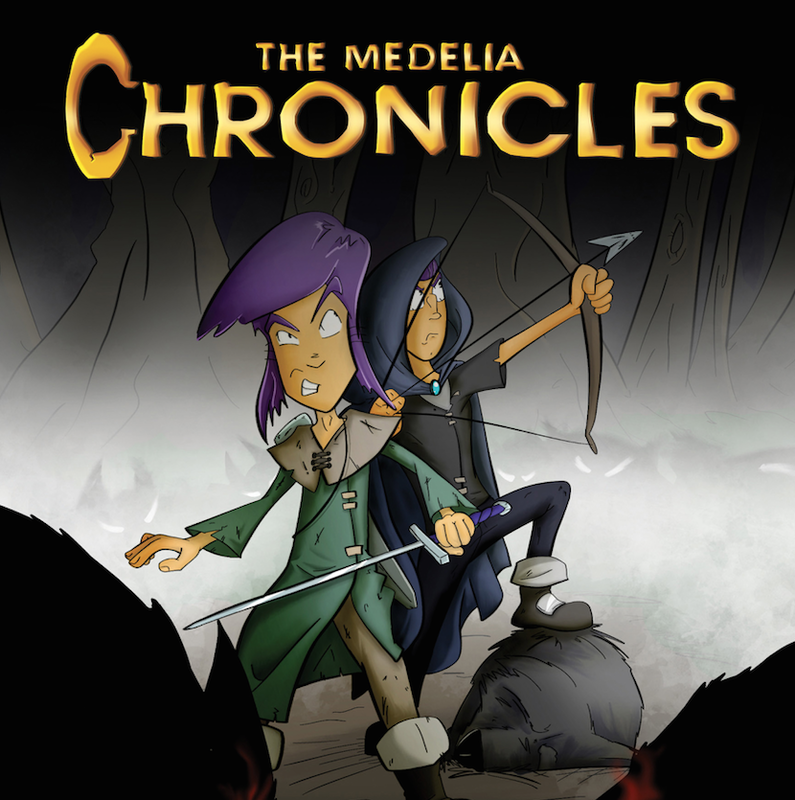 Badger, the leader of the Friends, then tells the Morianders that he fears one of the twelve has betrayed the others and the citizens of Medelia by bestowing favors on Nibel, the founder of Myrkland. The reasons she might do this, for now, remain a mystery. The Morianders decide to leave at once, given that the Messengers of the Light can not help them. Before they go, Badger has a word in private with the Morianders. "Then before you go," said Badger, "I will need to speak with you in private. You will excuse us, my dear Friends?" The eleven Old Friends put up no objections. The Morianders followed Badger into his private study. The old one closed and locked the door. "There are a few more...details you should know about," continued Badger. "The dwarf, Nibel Gunn, grows powerful. He has transformed his city of Myrkland in the Poisoned Forest into one of the most thriving cities in all the land. He builds more houses and feeds and employs more citizens every day. He has a storehouse of wealth at his disposal and most of all the inhabitants of Myrkland adore him. "Can he be trusted?" asked Baldur. "I, for one, do not," Badger whispered. "Acts of terror are widespread now. Fear has gripped the kingdoms like never before. Some say there are pockets of chaos already." Badger then went over to the locked door and listened for a moment. When he was convinced no one was close by he returned to the three Morianders and whispered something he hoped he would never have to say. "As distressing as some of the news might have sounded, the worst is yet to come." Badger paused to collect himself. "I fear one of the Old Friends has betrayed us." The Morianders could scarcely believe their ears.